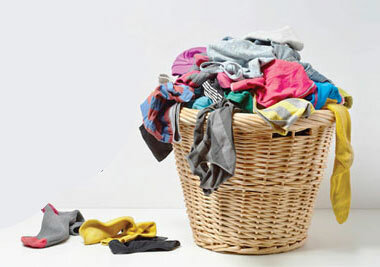 Flashdoor, a Bangalore-based on-demand laundry service platform, has pulled down its shutters. This comes just a few months after it raised funding from former Flipkart executives Ankit Nagori and Sujeet Kumar. Confirming the development, Flashdoor co-founder Ankit Agarwal told Techcircle.in that the startup experimented with various business models before it decided to close down operations. "We have moved on from Flashdoor. We had tested various business models and the return on investment was not that great. And profitability was not possible until we reached a large scale which also required us to invest a lot of money in the business," said Agarwal. "We thought we will shut it down and figure out something else to do." In November 2015, it had raised an undisclosed amount from Nagori and Kumar. Traxcn Labs had also participated in that round. Agarwal added that Flashdoor Internet Services Pvt. Ltd, which runs the platform, had employed 10 people and all of them have sought jobs elsewhere. Flashdoor worked on a curated marketplace model and operated its own logistics service to collect laundry from customers. The startup recorded 1,500 transactions a month in November 2015 and planned to take the count to 30,000 by March 2016. Flashdoor was founded by IIT Delhi graduates Agarwal and Himanshu Gupta in July 2015. Agarwal was with Flipkart before starting Flashdoor, while Gupta had earlier worked with Amazon and Oracle, besides other firms. The Indian laundry market is estimated at Rs 2,00,000 crore. Of this, 95% falls in the unorganised category. Saran Chaterjee CEO of Amazon-backed Housejoy recently said in an interview to Techcircle.in that managing unit economics in the laundry segment is extremely hard as there is a logistics component attached to it. In the past few months, the on-demand laundry segment has seen a lot of activity with many startups getting acquired by stronger rivals, even as a few managed to raise fresh funding. Last month, Chennai-based on-demand laundry and dry-cleaning services startup Wassup acquired Ezeewash, a Hyderabad-based launderette, in an all-equity deal. In March 2016, Gurgaon-based Ganymede Technologies Pvt Ltd, which runs laundry services startup OneClickWash, had raised an undisclosed amount in seed funding from Unitus Seed Fund. In February, Jaipur-based on-demand laundry startup Urban Dhobi Services Pvt Ltd, had raised an undisclosed amount of funding from angel investors Vinod Bansal and Sanjeev Singhal.